With the introduction of the XR200P router, Aerohive is introducing a cloud-managed SD-WAN router for secure and reliable enterprise connectivity at remote sites. The XR200P contains 4 gigabit ethernet ports. There are 2 WAN ports (1 fixed and 1 that can be changed to LAN), and 2 PoE ports for LAN connectivity. This solution is a game-changer for remote sites, branch, locations, and employees who work from home. The routers can be shipped to any site with no configuration ahead of time. The routers will automatically find Aerohive’s cloud and are provisioned automatically. On top of a simple deployment model, Aerohive’s SD-WAN solution supports application-based flow optimization. It identifies, prioritizes, and restricts traffic flows based on app importance or bandwidth requirements. This can be done on a per application basis or on a per user basis (different users getting access to different applications). It also directs mission-critical corporate apps to headquarters or the datacenter via a corporate VPN with the highest QoS priority, while white-listed public web applications can be directly accessed from the remote for minimum latency. Other traffic can be proxied through a cloud security gateway for additional monitoring before being permitted to pass. A virtual VPN tunnel is installed at the corporate office (typically in a VMware environment) to ensure secure traffic from the XR200P router to the corporate network. From a SLA perspective, Aerohive’s SD-WAN solution also provides incredible reporting tools for IT administrators. Aerohive’s solutions provide reporting of links and connected network devices, VPN tunnel latency, throughput, uptime metrics, other troubleshooting tools to help quickly identify and remedy potential issues. 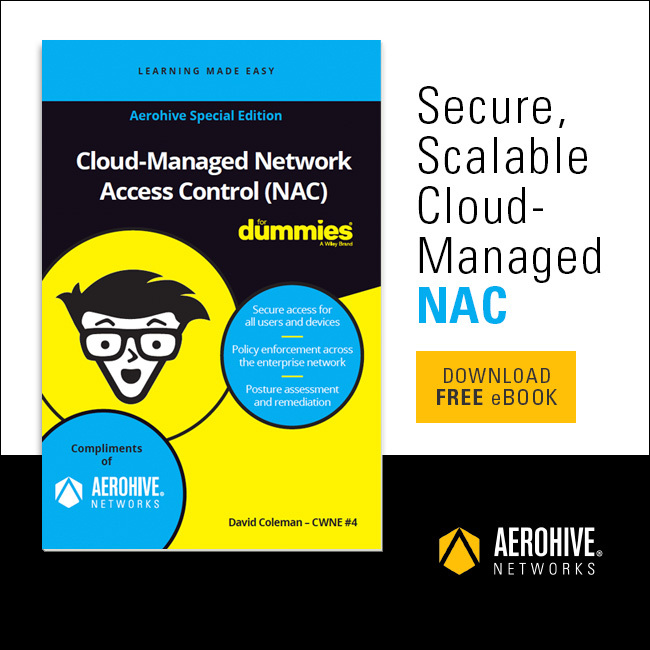 A common software-defined architecture ensures that Aerohive’s access and backhaul network technologies work together to self-optimize, self-correct, and self-learn. Aerohive is the only vendor that offers the same solution and same management interface for public cloud, private cloud, or on-premises deployment. This makes the deployment model work for any industry regardless of regulations. This is truly a single window into the entire IT network. From corporate wired and wireless access to all remote sites (including remote workers), SD-WAN is a single place to manage, monitor, and troubleshoot the entire network.